Even adrenaline junkies need rules. Theme parks have strict policies about what they allow people to bring inside. Every theme park has screening stations at their entrances to make sure rules are followed, so expect to show what is inside your bag on the way in. Six Flags America provides a quicker "bagless" entry, for those not carrying bags. 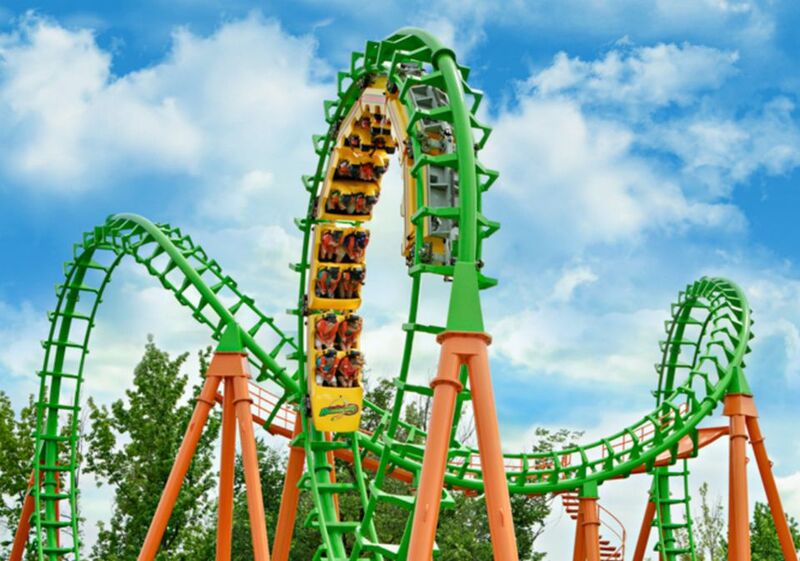 Additionally, Six Flags theme parks have rules and policies to ensure safety and a fun family environment. Those who break the rules can be removed from the park without refund. The Six Flags food policy is crystal clear. No food, beverages, or coolers may be brought into the park. If you bring your lunch in a bag or cooler to save money, you'll have to use the picnic area in the parking lot. Exceptions are made for guests with special dietary needs to include food allergies and baby food/formula. Guest should contact Park Security or Guest Relations when they arrive at the park for approval to bring in special dietary foods. Inside the park, you'll find a wide variety of snacks, meals, and drinks for purchase. There are some areas that sell alcoholic beverages. The park rules state that "alcoholic beverages purchased in the park may not leave the premises in which they are purchased." Those annoying selfie sticks are not allowed in Six Flags theme parks since they pose a safety hazard. Guests who bring selfie sticks will be asked by entry staffers to store them in their cars during their visit. Monopods and similar items are also not allowed. You can, of course, bring in your cell phone but it is not allowed on rides for safety reasons. Flying a drone inside any Six Flags park is outlawed for the safety of guests and staff. Obviously, it would not be safe to have drones flying around roller coasters and other fast-moving rides. Outside a Six Flags park, drone operators must follow the Unmanned Aircraft Rule in order to be in compliance with FAA restrictions. It may have seemed like a good idea to bring your own portable chair to be guaranteed a place to sit, but, alas, they are banned because they block the flow of pedestrians. There will be many benches, seats inside restaurants, and picnic tables inside the park where you can rest. Six Flags has a strict policy about taking photos and videos. It's okay to take photos and video for personal use, but Six Flags does not allow commercial photography. The park specifically bans GoPro cameras and cameras with lenses greater than 3.5 inches in length, and interchangeable lenses of any kind. Cameras mounted on moving objects like a vehicle, cart or scooter are not allowed. And, of course, cameras are not allowed on rides due to safety issues. Glass is bad news when it breaks, which is why glass bottles are not allowed inside the parks. Bring an empty water bottle into the park and you can fill it at a water fountain. All other kinds of drinks must be purchased on-site. This goes without saying, perhaps, but weapons of all kinds are banned from Six Flags theme parks. Knives, guns and ammunition, mace, pepper spray, and explosives are all outlawed. And don't plan to bring any type of fireworks into the park. Those are banned as well. Theme parks and pets do not mix. Except for service animals, pets aren't allowed inside Six Flags theme parks. You definitely can't leave an animal in your car all day, so it's best to keep dogs and other pets at home or at a boarding facility (Six Flags does not have a kennel). If park security sees an animal left in the car, they will call Animal Services to rescue your pet at your expense, which may also result in prosecution. Theme park rides can spin, drop, zoom, and turn suddenly. Spiked clothing and jewelry can pose a real safety hazard on thrill rides. Clothing with studs, wallet chains, and other items that protrude are not permitted to be worn on rides. At the bag screening at the park entrance, any magic markers will be confiscated. Don't bring Sharpies or paint into the park. One person's artistic expression is another's destructive graffiti.